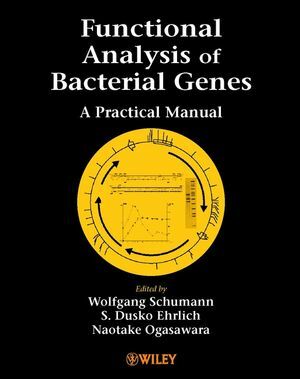 Functional Analysis of Bacterial Genes: A Practical Manual summarises the principles and the key methods used to analyse the function of genes in bacteria. Written by members of the Bacillus subtilis Functional Analysis Consortium, this book provides a guide to the many approaches for the systematic analysis of gene function. 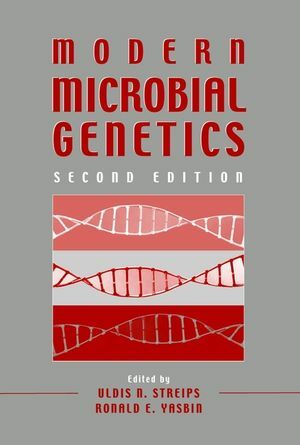 Written by internationally recognised authors, Functional Analysis of Bacterial Genes: A Practical Manual will be a valuable resource to researchers and technicians using functional analysis for many bacterial species, whether in the academic departments of microbiology or genetics, the biotechnology, biomedicine or pharmaceutical industries, or other centres of genomics and bioinformatics. Aims of the Functional Analysis Project. Inactivation of Bacillus subtilis Genes Without Known Functions. Transcriptional Analysis of Large Regions of the Bacterial Genome. Useful Methods for Transcriptional Analysis. Northern Blot Analysis with non-RI Detection Systems. Micado, an Integrative Database Dedicated to the Functional Analysis of Bacillus subtilis and Microbial Genomics. Phenotype Responses and Reporter Gene Activity from the Systematic Functional Analysis of Bacillus subtilis Unknown Genes. The Contribution of the EC Consortium to the Two-dimensional Protein Index of Bacillus subtilis. Metabolism of Small Molecules and Inorganics. Screening for Genes Involved in Nucleotide and Nitrogen Metabolism. Screening for Growth and lacZ Reporter Gene Induction with Metal Ions and Chelators, Amino Acid Analogs, Antibiotics, Inhibitors of Oxidative Phosphorylation and Miscellaneous Stress Factors. Utilization of Small Carbon-containing Molecules by Bacillus subtilis (S. Fillinger, et al.) . Screening for Genes Involved in the Metabolism of Small Carbon-containing Molecules. Induction or Repression by Nitrogen Sources. Glucose Regulation in Bacillus subtilis. Cell Processes and Macromolecule Metabolism: a Quest for Genes Involved in Genetic Competence, and DNA Recombination and Repair. Cell Processes and Macromolecule Metabolism: Methods for the Selection of Mutants in Genetic Competence, DNA Recombination and Repair and Protein Secretion. Molecular Tools for the Identification of Mutations Affecting Protein Secretion. Screening for Mutants Defective in Secretion. Differentiation of Bacillus subtilis (A. Moir, et al.) . Methods for Rapid Screening of Properties: Spore Resistance and Germination. Genes Affecting the Cell Envelope. Analysis of Cell Envelope Components. Peptidogylcan Structure and Structural Determination in Vegetative Cells of Bacillus subtilis (A. Atrih, et al.) . Identification and Analysis of Cell Cycle Genes. Isolation and Characterization of Genes Affecting Sporulation or the Cell Cycle. Selection and Characterization of Genes Affecting Germination. Screening for Increased Sensitivity or Resistance and Level of lacZ Reporter Gene Expression in Response to the Oxidizing Agents Hydrogen Peroxide and Methyl Viologen. Screening for Mutants Affected in their Response to Phosphate. Analysis of the Mutant Collection for Defects in their Temperature and pH Shock Response. Screening for Growth and lacZ Reporter Gene Induction or Repression under Glucose and Phosphate Starvation and under Heat, Oxidative and Osmotic Stress. List of Bacillus subtilis Unknown Genes with a Phenotype Determined by the Functional Analysis Project. List of Bacillus subtilis Genes of Known Function. Appendix 1: List of Bacillus subtilis Mutants Constructed by the European Functional Analysis Project. Appendix 2: List of Bacillys subtilis Mutants Constructed by the Japanese Functional Analysis Project. Appendix 3: List of Selected Suppliers.